Jews outside a shop on the Rohatyn town square, as seen in a 1932 film preserved by YIVO. Very little physical heritage remains of the pre-war life of Rohatyn’s Jewish community, either in the town or in the family collections of its descendants. After the destruction of the community in the Holocaust, vigorous efforts to remember Jewish Rohatyn were made by survivors of the wartime ghetto and by pre-war emigrants from Rohatyn in Israel, the United States, and other countries. Some photographs and many words were published in the Rohatyn Yizkor Book, in the Rohatyn chapter of the Pinkas ha-kehillot Polin, and in several memoirs (both public and private). Thanks to these efforts, one can try to imagine the lively place that Rohatyn was for its Jews. But these memories and these images attach to almost no surviving physical objects. Almost no Jewish community buildings remain, their exteriors and interiors nearly devoid of signs of their original use. Pre-war Jewish homes and businesses support the modern city with almost no evidence of their earlier Jewish occupants. Even the Jewish cemeteries, now nearly devoid of the forests of memorial markers they once had, are difficult to visualize as the “houses of life” they had been less than a hundred years ago. 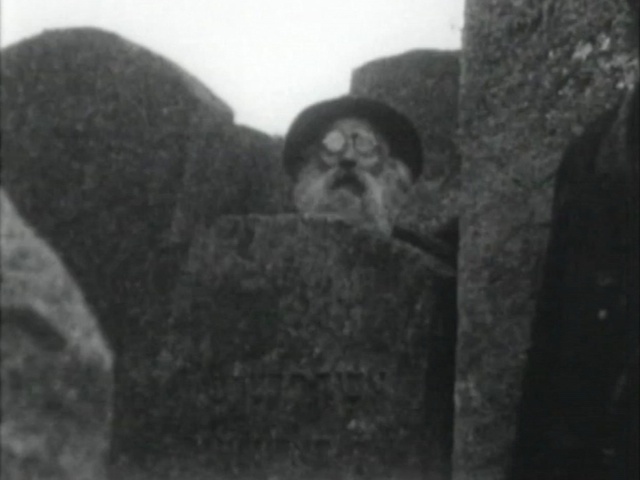 In the old Jewish cemetery of Rohatyn, as seen in a 1932 film preserved by YIVO. Family photos help – many Jewish descendants of Rohatyn families have allowed us to share their photos on this website, and together the images begin to recreate a perspective on the uniqueness and variety of the town’s people. Some of the photos, especially from the 1920s and 1930s, are informal and candid shots, revealing a bit of the life and personality of their subjects. We look at some of these photos and wish we could see the man, woman, or child in the image move, and perhaps break into a smile. Fortunately, for some of these people, now we can see them move and smile. Logan Kleinwaks, a Jewish descendant of Rohatyn families and the creator of the Genealogy Indexer website, had since about 2006 been in contact with the American Jewish Archives (AJA) in Cincinnati, Ohio, about a collection they called the Fanny E. Holtzmann Papers. Logan was a relative of Fanny (Fania) Holtzmann, a rather famous entertainment lawyer from Brooklyn who passed away at age 85 in 1980, and he was investigating whether her papers might include correspondence and photos relating to other relatives and other families in Rohatyn. A ball game in Rohatyn, as seen in a 1932 film preserved by YIVO. By 2010, Logan had a box and folder list of the collection, and he had also read a 1976 biography about Fanny written by her nephew Edward Berkman, “The Lady and the Law”. 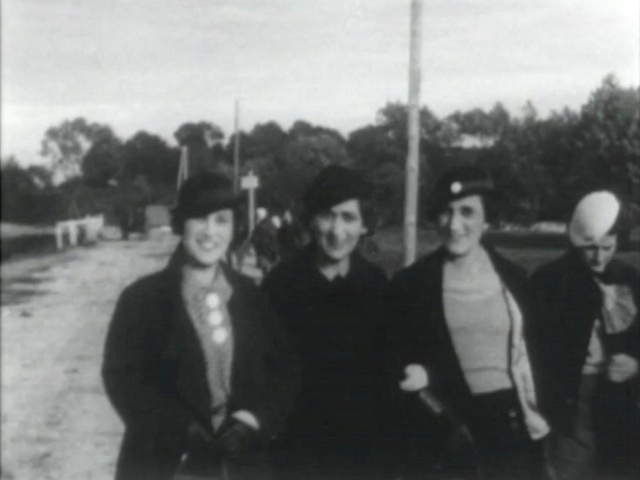 He noted in a message to the newly-formed Rohatyn Shtetl Research Group (RSRG) that the book stated Fanny had visited Rohatyn (and other parts of Europe) from America at least twice before the war, in 1932 and 1934, and that, according to the book, on one of those visits she had brought a movie camera. So far the AJA archives had not yielded new info, but Logan’s family, friends and other researchers were well aware he was working on this branch of his family. In early 2013, one of those researcher friends tipped Logan that a film by Fanny might be in the archives of the YIVO Institute for Jewish Research in New York City. Logan investigated, and with the help of one of YIVO’s staff, found a short film from Fanny’s 1930s visits. The film is in the “16mm Postcards” group of the Digital Collections of the Center for Jewish History, of which YIVO is a part. Included as part of a donation made by another nephew of Fanny, Edward M. Holtzmann, and simply titled “Galicia” without mention of Rohatyn. 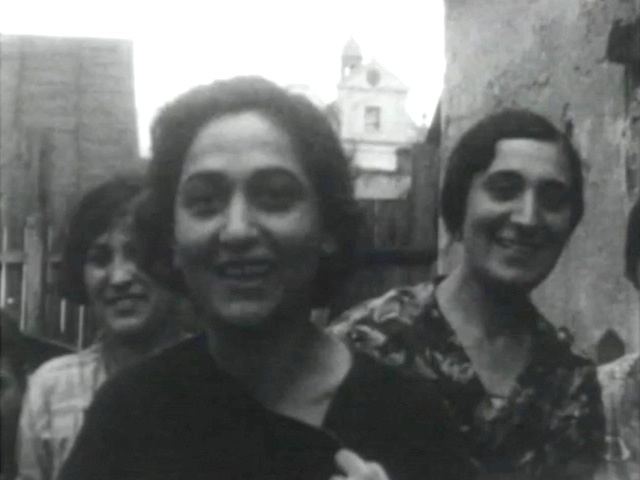 A still image of Jews in Rohatyn, from a 1930s holiday film by Fanny Holtzmann. Free access courtesy Edward M. Holtzmann and YIVO Archives and Library Collections. Click the image to see the video; you may have to activate Flash to enable the file to play. 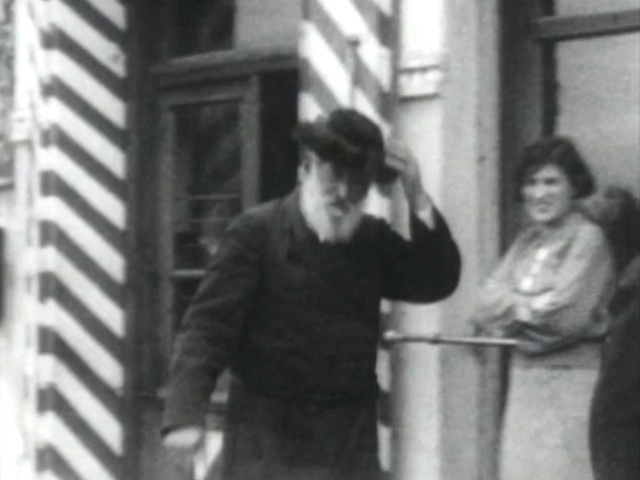 In the seven-minute film archived by YIVO, Rohatyn appears in the first two and a half minutes, in a fast-cut sequence of short clips filmed in several places in the town. After the Rohatyn sequence, the film moves on to Lwów/Lviv and then England, including London. Logan confirmed the latter two locations were filmed in 1934, with Rohatyn filmed in 1932 according to YIVO’s collection notes. 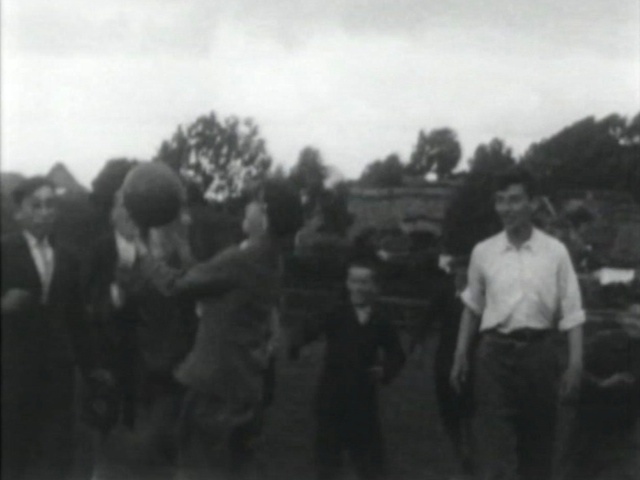 In its original form, probably created on a hand-wound camera, the film was captured at a variable frame rate below the modern standard speed of 24 frames per second. When digitized and played in modern viewers, the motion appears somewhat accelerated. Combined with the rapidly-cut scenes, the overall effect is a bit frenetic; one just begins to recognize who and what is being shown when the film cuts to the next scene. Thanks to the generosity of Rohatyn Jewish descendants Jeremy Borovitz and Logan Kleinwaks, and the courtesy and technical support of the YIVO Institute for Jewish Research, Rohatyn Jewish Heritage has acquired for display in the Rohatyn “Opillia” Museum the segment of the digitized film covering Rohatyn. To improve appreciation and study of the film at the Museum, we have slowed the frame rate to half its converted speed, and looped the film for continuous display. The result is so captivating that it is hard to stop watching even after multiple viewings. Women friends walking in Rohatyn, as seen in a 1932 film preserved by YIVO. Here is 1930s Rohatyn, its people and places, including the town square and several businesses, fields and a park, elderly people plus parents and children, friends walking arm in arm, kissing a mezuzah, automobiles and horse carts, a letter carrier on his route, a small flock of sheep, a ball game, and what appears to be a funeral at the old Jewish cemetery, among many other scenes. Everywhere in town, people are fascinated by the film camera, some shy and some playful. The film shows us what family photos only hint at: side-by-side Jewish tradition and assimilation in dress and community interaction. More than anything, the movement and expressions of the people captured on film reveal the life of the town like never before. Now we can invite anyone with an interest in the town’s pre-war history to watch this short film and see what it was like to walk the streets of Rohatyn in the 1930s. With gratitude to Logan, and Jeremy, and the Holtzmann family, and YIVO, and everyone who helped bring this film back to Rohatyn and to the world, we say thank you.